1. 进入全面建成小康社会的决定性阶段 We have entered the decisive stage of completing the building of a moderately prosperous society in all respects; We have entered the decisive stage of achieving a moderately prosperous society in all respects. 9. 综合国力大幅提高 China’s overall strength has grown considerably. 10. 生态文明建设扎实展开 Solid steps have been taken to promote ecological progress/raise ecological awareness. 12. 衣食住行用条件明显改善 People’s need for daily necessities such as clothing, food, housing and transport is better met. 13. 农村扶贫标准大幅度提高 Rural poverty line was raised by a big margin. 15. 基层民主不断发展 Community-level democr-acy has steadily developed. 16. 文化建设迈上新台阶 Development of the cultural sector has reached a new stage. 17. 文化体制改革全面推进 Comprehensive prog-ress has been made in the reform of the cultural system. 18. 人民精神文化生活更加丰富多彩 People have richer intellectual pursuit and cultural entertainment. 19. 基本公共服务均等化程度明显提高 Access to basic public services has become much more equitable. 20. 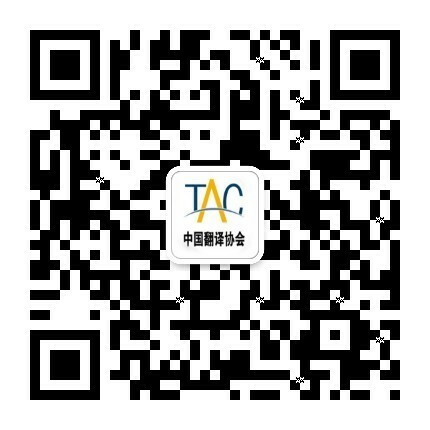 免费义务教育全面实现 Free compulsory educ-ation is now available across the country. 21. 军事斗争准备不断深化 Military preparedness is enhanced. 23. 在国际事务中的代表性和话语权进一步增强 We have secured more representation and a greater say for China in international affairs. 26. 发展中不平衡、不协调、不持续问题仍然突出 Unbalanced, uncoordinated and unsustainable development remains a big/major/prominent problem. 27. 资源环境约束加剧 Resources and environ-mental constraints have become more serious. 29. 一些领域消极腐败现象易发多发 Some sectors are prone to corruption and other misconduct/malpractices. 30. 反腐败斗争形势依然严峻 The fight against corruption remains a challenging task for us. 32. 国际局势风云变幻 We face a volatile intern-ational environment. 33. 准确把握我国发展的阶段性特征 We have gained a good understanding of the essential/salient features of China’s development in the current stage. 35. 所有这些彰显了中国特色社会主义的巨大优越性和强大生命力 All this shows the superiority and vitality of socialism with Chinese characteristics. 37. 牢牢扭住经济建设这个中心，坚持聚精会神搞建设，一心一意谋发展 We must pursue economic development as the central task and concentrate on it with every determination. 38. 实施科教兴国、人才强国战略 We must implement the strategies for making China strong by developing science and education and training competent personnel. 39. 全面落实经济建设、政治建设、文化建设、社会建设、生态文明建设五位一体总体布局 We must fully implement the overall plan for promoting economic, political, cultural, social, and ecological progress. 43. 坚持一切从实际出发 We should base our-selves on reality in everything we do. 46. 解放思想、实事求是、与时俱进、求真务实，是科学发展观最鲜明的精神实质 Freeing up the mind, seeking truth from facts, keeping up with the times and being realistic and pragmatic—these are the salient/essential features of the Scientific Outlook on Development. 47. 实践发展永无止境，认识真理永无止境，理论创新永无止境 There is no end to practice, to seeking truth, or to making theoretical innovation. 54. 我们既不走封闭僵化的老路，也不走改旗易帜的邪路 We reject both the old and rigid closed-door policy and any attempt to abandon socialism and take an erroneous path. 56. 它以全新的视野深化了对共产党执政规律的认识 It offers from new perspectives a deeper understanding of the laws of governance by the Communist Party. 57. 回答了建设什么样的社会主义的根本问题 It has addressed the fundamental issue of what kind of socialism to build. 58. 中国特色社会主义是当代中国发展进步的根本方向 Socialism with Chinese characteristics is what we must pursue if we are to achieve development and make progress in contemporary China. 60. 我们必须坚持人民主体地位 We must ensure that the people maintain their principal position in the country. 62. 要始终把改革开放精神贯彻到治国理政的各个环节 We should always apply the spirit of reform and innovation to all aspects of governance. 65. 公平正义是中国特色社会主义的内在要求 Fairness and justice are an inherent requirement of socialism with Chinese characteristics. 66. 社会和谐是中国特色社会主义的本质属性 Social harmony is an inherent attribute of socialism with Chinese characteristics. 70. 确保人民安居乐业、社会安定有序、国家长治久安 We should ensure that the people live and work in contentment, the society is stable and orderly, and the country enjoys enduring peace and stability. 71. 和平发展是中国特色社会主义的必然选择 Peaceful development is the sure choice of socialism with Chinese characteristics. 72. 我们要坚持开放的发展，合作的发展，共赢的发展 We should pursue development through opening up and cooperation to benefit all.